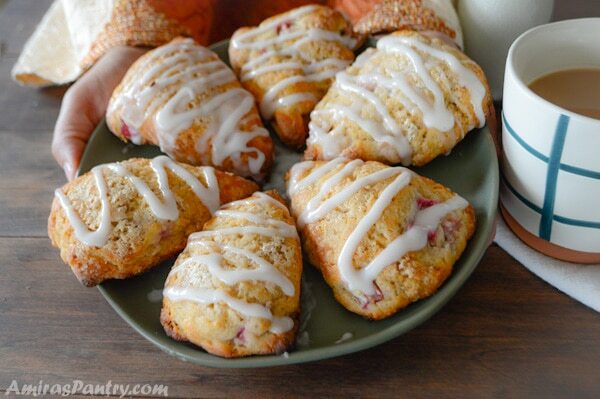 These rhubarb scones are bakery style, easy to make, buttery and perfect for any time of the day. 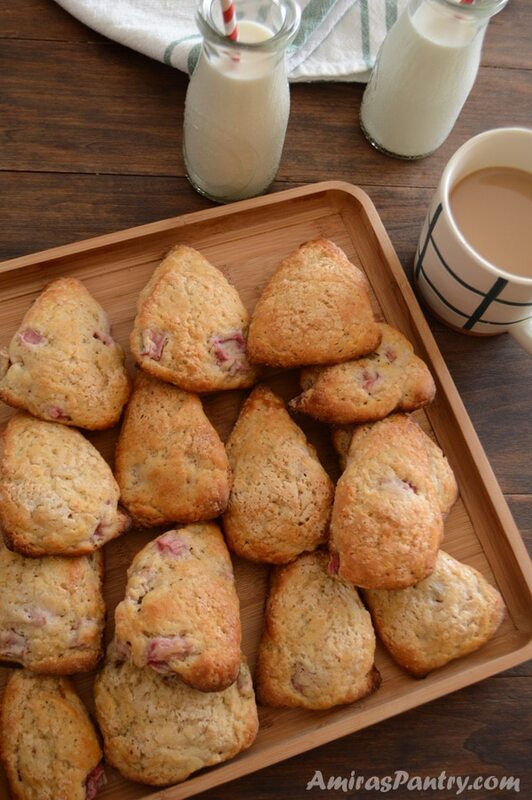 This is an easy, foolproof and pretty rhubarb loaded scones recipe. The only thing I find difficult for this recipe is waiting patiently while chilling it. Yes they were that terrible and until now I’ve avoided even eating them anywhere. I’ve had my 44th birthday last week, my husband and kiddos prepared a very nice surprise for me, and they all had their shares. Hubby, made breakfast and took us out for dinner, no cooking for mama this day …. I decided to keep that man for another year . My middle man hugged me warmly and said ” Happy birthday mama, you’ll never get old” … I decided to keep that guy too. Oldest replied : ” She wishes she is 42, but she is older” …. this is the one I am going to give up soon藍.. I will strike back when he is 44 …. mama’s revenge hehehehe. Seriously, they were all so sweet and lovely and I know that hubby is the mastermind behind this lovely conspiracy. I’ve also made another decision, I decided to reward my husband with another trial of scones, but this time I was determined to make it right. 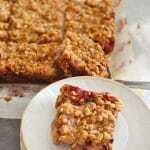 I’ve heard a lot before about rhubarb but really did not have the honor to make a recipe with. Boy, I’ve been missing A LOT. I was surprised to know that this thick, celery-like plant is actually considered a vegetable although treated like a fruit. In most recipes it is combined with strawberries as it is very tart on its own. But in this scones recipe, I’ve combined roo-barb with cardamom, one of my most cherished spices, to give it a very special flavor and aroma that you’ll never forget. In a bowl combine wet ingredients, buttermilk, eggs and vanilla. In another bowl combine flours, salt.sugar, cardamom and baking powder. Now, do not freak or chicken out, you’ll need to grate frozen butter. Seriously, it is not as hard as it sounds. 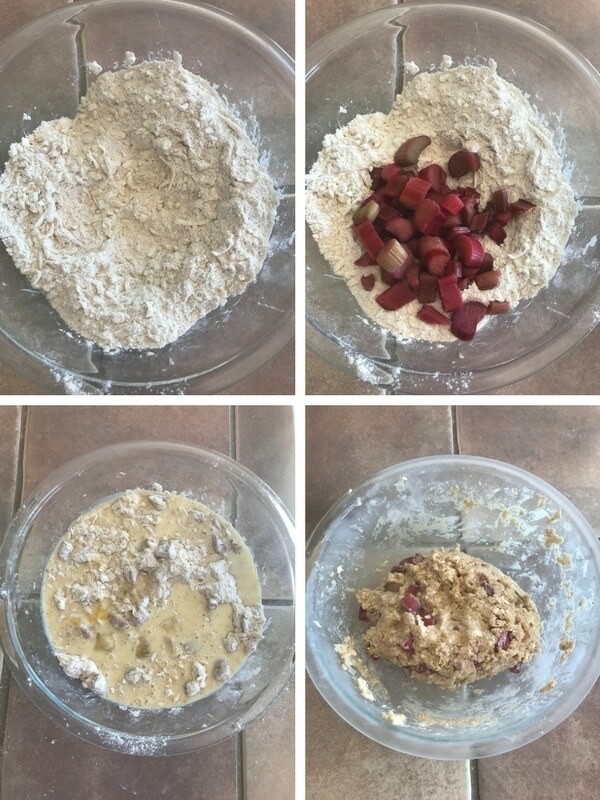 Add frozen grated butter to the flour and mix with your hands or a spatula, add rhubarb and mix then add the wet ingredients. The dough will be so sticky so do not be tempted to add more flour now. You can freeze the dough for 10-15 minutes if you feel you cannot handle it otherwise let’s continue. Sprinkle a clean working surface with 1 Tablespoon or two of flour, dust your hands with more flour. 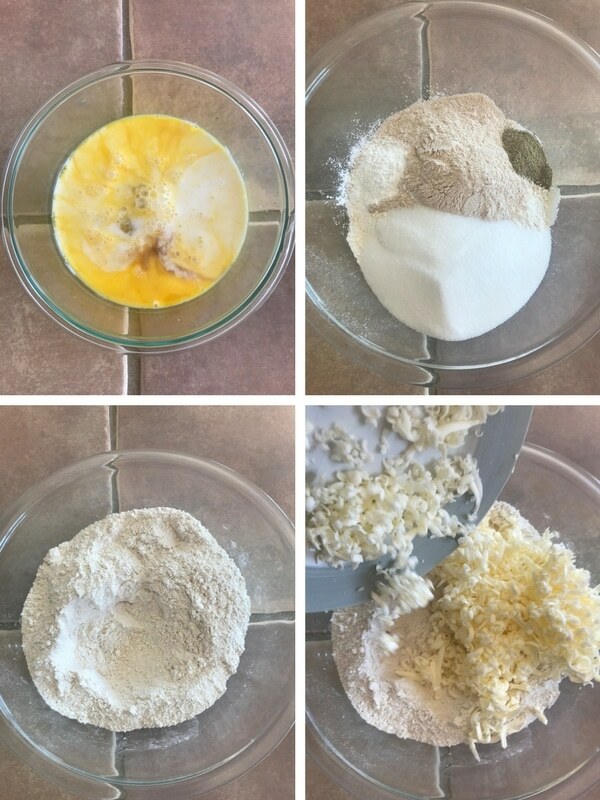 Turn the dough into the floured surface and cut in half. Take one half and shape it into a 6 inch circle, then cut into 8 wedges. Transfer wedges to a baking dish lined with parchment paper and freeze for 20-30 minutes. When ready to bake brush top with buttermilk, sprinkle some sugar on top and bake. For those who have sweet tooth like us, make some sugar glaze for the look and taste. This is it, golden crispy outside and soft from within with a hint of cardamom and a little tartness. 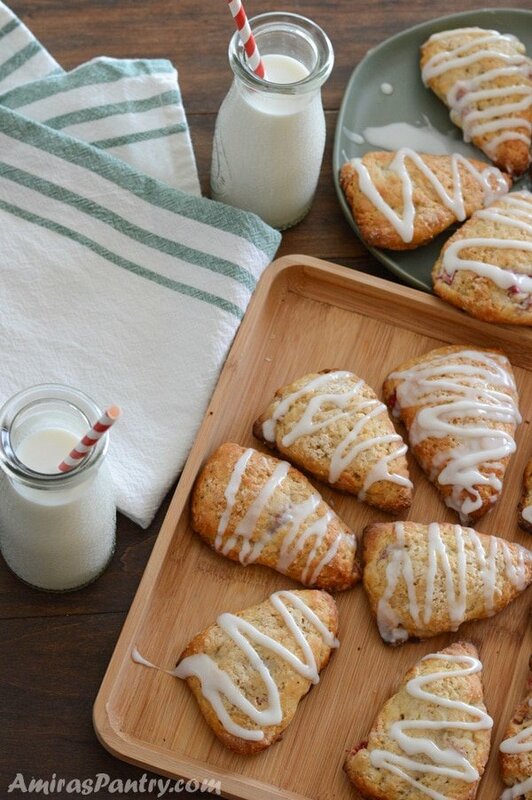 These make any breakfast table the BEST. 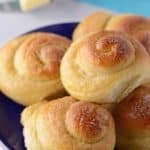 My little kid came home from school super eager to eat them with milk, we had soccer practice that day so these were the perfect after school and before soccer snack. 1/2 cup frozen and grated unsalted butter. Set aside 2 Tablespoons of butter milk in a small bowl for brushing. In a bowl, mix egg, buttermilk and vanilla. Set aside. In another bowl combine first 6 ingredients then mix well. Add grated frozen butter and mix. Add the rhubarb and mix well until everything is evenly coated. Add the buttermilk mixture and mix with a spatula until flour disappears, the dough will be very sticky. Dust a clean working surface with some flour and dust your hands as well. Turn the dough into the floured surface and dust each side with about 1 Tablespoon of flour just enough to be able to handle the dough. Do not be tempted to increase flour. 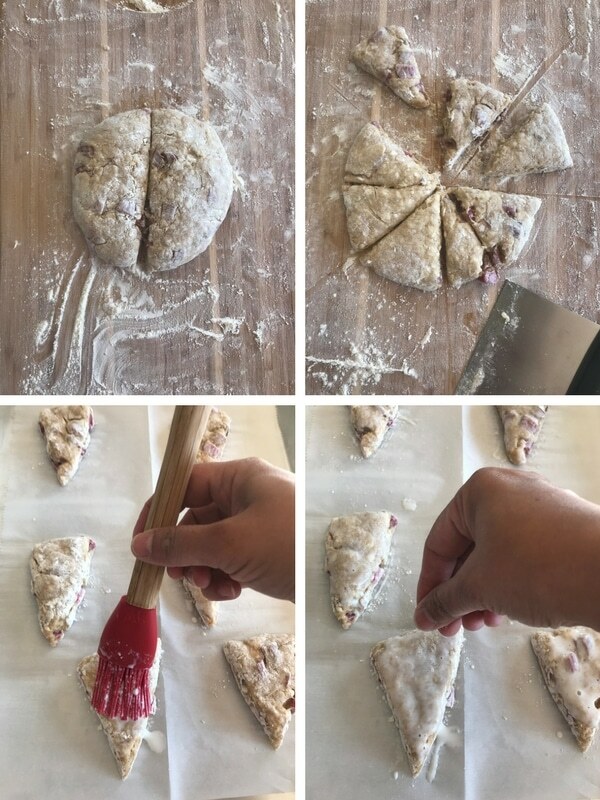 Cut the dough in half and press each half into a 6 inch circle. 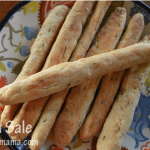 Cut each half into 8 wedges, place on a baking sheet lined with parchment paper and freeze for 20-30 minutes. Preheat oven to 400F. Arrange two baking racks one on the upper third and the other on the lower third of the oven. 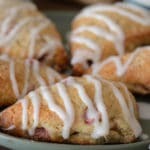 Take the scones out of the freezer , brush top with buttermilk and sprinkle some coarse sugar if desired. Bake 15-20 minutes on the lower third or until the bottom starts to brown then move up for 5-10 more minutes or until top is golden brown . * I’ve used frozen rhubarb, thawed them in a colander overnight but not squeezed, then cut them a little smaller. ** I’ve made my own butter milk, by combining 3/4 cup of milk and 1 teaspoon vinegar. *** Preferably consumed in the same day. 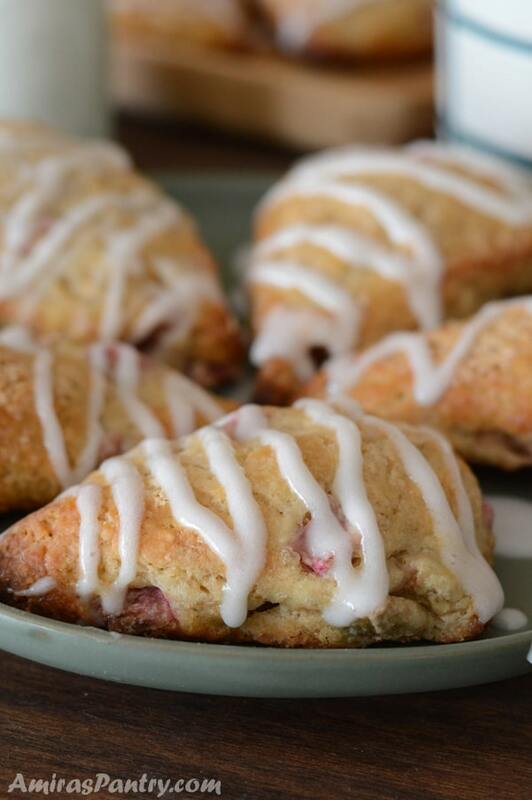 Scones can stay fresh at room temperature for a couple of days. They can also be baked then frozen, they keep well in freezer for 3 months.